The premise of Discovery of Romance is simple. Main characters Han Yeo Reum (Jung Yu Mi) and Nam Ha Jin (Sung Joon) are in a sweet and steady relationship until Yeo Reum’s ex-boyfriend Kang Tae Ha (Eric Mun) and Ha Jin’s long-lost sister Ahn Ah Rim (Yoon Jin Yi) show up in their lives again. Things get complicated quickly as our couple maneuver through various situations while trying to maintain the integrity of their relationship. Perhaps due to the lack of unexpected twists, the drama feels like a glass of iced tea on a hot summer day, refreshing and a tad sweet but easily forgotten in the long run. Nonetheless, for what it’s meant to be, the execution of Discovery of Romance is still tasteful. Unlike a typical rom-com Korean drama with exaggerated characters and surreal situations that make or break the couple, Discovery of Romance offers a realistic take on romantic relationships and makes it believable. It pulls us in with its novel storytelling approach and modern filming techniques. The drama leverages a unique style of intermixing quirky interviews from each character to tell stories of the past and articulate perspectives of the present. It uses many dynamic angles and closeup shots with natural lighting and ambience to make the drama feel contemporary. Similar recipes have been used in hit dramas like My Love From the Star and the I Need Romance series. Add on top witty, rapid-fire dialog and genuine acting, the drama feels relatable as if it’s happening to people around me. For the most part, it does a wonderful job of portraying the multi-facets of relationships, the emotional struggles when feelings change, and the discovery of one’s true heart buried under layers of secrets. Discovery of Romance efficiently introduces all of its main characters and their relationships in the first episode through amusing interview commentary, succinct flashbacks, and off-the-wall situations. It opens with a series of scenes of Yeo Reum and Tae Ha madly in love in 2004 followed by shots of them being interviewed separately in the present. As they discuss how their past relationship has changed them, it’s obvious that Tae Ha still has lingering feelings while Yeo Reum has already moved on with her current boyfriend Ha Jin and only retains bitterness towards Tae Ha. We then find out how Yeo Reum and Ha Jin met a year ago through their mutual best friends Yoon Sol (Kim Seul Gi) and Do Joon Ho (Yoon Hyun Min) and hit it off unexpectedly. Back in the present, Ha Jin goes on a blind date behind Yeo Reum’s back to appease his mother, which leads to the fatal reencounter of Tae Ha and Yeo Reum. Next, Yeo Reum ends up spending the night at Tae Ha’s after getting drunk and just like that, a series of coincidences turn into destiny. Tae Ha needs a furniture designer for his new interior design project. It’s the perfect excuse to start a working relationship with Yeo Reum. Reminiscence fills the air and we witness a full recounting of the cute story of how Tae Ha and Yeo Reum fell in love. At the same time, we also learn about Ha Jin’s past at the orphanage with his sister and why he’s taken interest in Ah Rim, the sibling he’s been looking for. The pacing and character development of the drama has been great so far. It’s able to present a lot of backstories coherently and set up more situations to come in three tightly-woven episodes. Each character has a clean-cut, well-defined persona. Yeo Reum’s sassiness, Tae Ha’s hard-to-get bad-boy vibe, and Ha Jin’s gentlemanly mannerisms all make me eager to find out what’s going to happen next when the three of them are thrown into the mix together. To my disappointment, the next few episodes did not turn out as exciting as I had hoped for. The slow plot progression only managed to unveil two things that didn’t entirely make sense: the growing number of secrets between the couple and Tae Ha’s confession. Ha Jin senses rivalry from Tae Ha and feels there are too many coincidental encounters between him and Yeo Reum — phone swap, sleeping over, working together, and unannounced get-togethers. 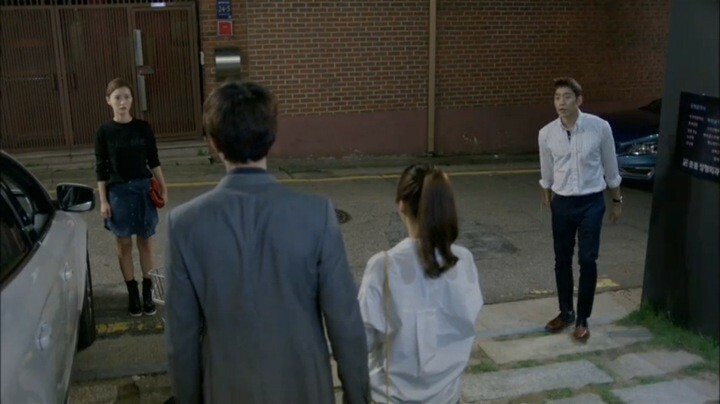 He confronts Yeo Reum about it and she’s quick to deny there’s anything going on. Even the best friends join in to keep Tae Ha and Yeo Reum’s ex-relationship a secret from Ha Jin. By the same token, Ha Jin grows closer with Ah Rim as he tries to make up for the guilt of leaving her at the orphanage. Yeo Reum grows suspicious of their relationship after spotting them on a kimbap date and catching Ha Jin inviting Ah Rim for breakfast. She also confronts Ha Jin about it, who brushes it off as nothing to be concerned about. This is where the plot stopped working for me. I can excuse why Yeo Reum didn’t tell Ha Jin about her history with Tae Ha under the pretense of not wanting to complicate matters. But I find it hard to rationalize why Ha Jin needs to hide the fact that Ah Rim is his sister at the risk of damaging the relationship. Seems like it’s just a plot mechanism for the sake of creating conflicts between the couple. Meanwhile, the more time Tae Ha spends with Yeo Reum, the more he realizes his residual feelings for her and finally confesses. To my distaste, Yeo Reum takes pleasure in tormenting Tae Ha to repay the pain she felt when they broke up. Fortunately, while Yeo Reum becomes less likable by the minute, a newfound affection for supporting characters Sol and Joon Ho helps propel me forward in watching the drama. Not only were they a constant source of comic relief, the duo’s synergy and loyalties to each other also make them extremely likable characters. At last, the plot picks up again as the relationship dynamics between Yeo Reum and the boys transition into the next phase. The rift in Yeo Reum and Ha Jin’s relationship escalates to a fracturing point when she catches him with Ah Rim again shortly after he promised to stop seeing her. Yeo Reum demands an explanation but Ha Jin becomes equally frustrated with Yeo Reum for making assumptions and not trusting him. Again, I’m dumbfounded that even as their relationship crumbles down Ha Jin refuses to shed any light. The situation could have been easily explained to exonerate both himself and Ah Rim. Instead, he chooses the worst option and continues to hide the truth. To me, Ha Jin’s decisions and actions are the least realistic and logical aspects of Discovery of Romance. Despite making up later, Yeo Reum admits in her interview that she feels the relationship has changed. Isn’t that inevitable? I’m left wondering how the relationship could survive when there are so many secrets and lack of willingness to communicate from both sides. 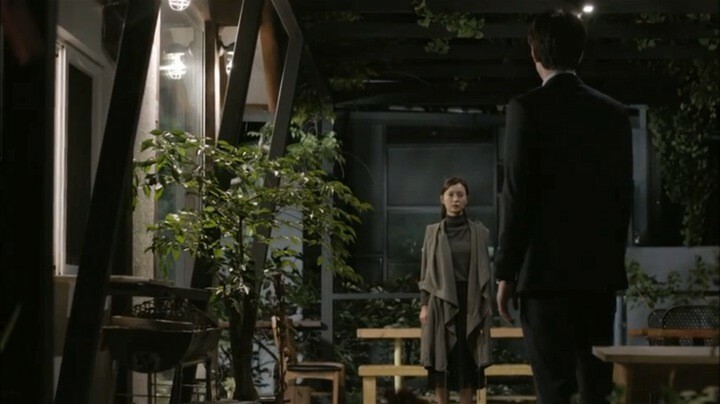 In any case, the war between the couple allows Tae Ha to spend more time with Yeo Reum and progress their relationship into a state of understanding and forgiveness. Tae Ha regrets that he wasn’t there for Yeo Reum when she needed him the most and that’s the real reason behind all these years of her bitterness. At the same time, Yeo Reum realizes that as long as she hated Tae Ha she could never fully move on. I suddenly fell for the chemistry between them, perhaps because it’s the first time seeing Yeo Reum sincerely opening up to Tae Ha. Both Eric and Jung Yu Mi did an excellent job conveying the depth of their characters’ emotions — regret, repent, lingering feelings, bottled-up emotions — all seem so genuine. Eager to find out what’s going to happen next, I quickly move on to the next episode. I was not let down — the highlight of the drama kicks in with an intense emotional rollercoaster delivered through incredible acting. As Tae Ha agonizes over the “official break up”, Yeo Reum goes back to “normal” life with Ha Jin and refuses to acknowledge the widening gap in their relationship. But fate brings Yeo Reum and Tae Ha together again when they run into each other at the company workshop. Through the campfire game, they each recall the cherished memories of the past. I’m completely blown away by Eric’s acting and fully engrossed in feeling Tae Ha’s heartaches. The unspoken exchange of pain and lingering feelings in their eyes is the epitome of remarkable couple chemistry. But it gets even better. Yeo Reum feels moved by Tae Ha’s sadness. She tells him in tears that if he keeps looking for her she’ll want to wait for him too, confessing for the first time that her heart is wavering. This time, it’s Jung Yu Mi’s turn to impress me with her acting skills as she convincingly portrays the inner struggles of her character. Completely in denial of the issues in their relationship, Ha Jin proposes to Yeo Reum and she accepts it in spite of her growing feelings towards Tae Ha. Ironically, Ha Jin chooses now to come clean about Ah Rim while Yeo Reum still has no plans to share her secrets. Like a time bomb that’s bound to go off, Ha Jin inadvertently discovers Tae Ha and Yeo Reum’s history and we’re left waiting for the inevitable storm to come. The storm came a lot slower than I had anticipated, which took away from the emotional build-up and left me plenty of time to analyze Yeo Reum’s missteps. When Ha Jin finally asks about her history with Tae Ha, Yeo Reum doesn’t even bother explaining or defending herself but simply apologizes. The lack of communication ultimately leads to the breakup with Ha Jin. Mistake one — hidden secrets and unwillingness to talk it out are the downfalls of relationships. Now that she’s separated from Ha Jin, I expect Yeo Reum to go be with Tae Ha so they can be happy. But she shockingly chooses to parts ways with both of them for good due to a weird sense of loyalty towards Ha Jin. Mistake two — not pursuing one’s happiness out of stubbornness leads to a lifetime of regret. Yeo Reum doesn’t learn this valuable lesson from her mother until one year later and only then does she make an effort to win back Tae Ha. The ending of Discovery of Romance is charming, though it’s hard for me to like and identify with Yeo Reum as I watch her make mistake after mistake. When she finally gets back together with Tae Ha, everything just seemed too easy. She’s lucky that she was given more chances to pursue her happiness than she probably deserved. But perhaps that’s the message of the drama — it’s never too late to discover your true heart and chase what makes you happy. Watched this after Oh Hae Young drama. Eric acted more in here. Well, in OHYA he even had less words lol. I could say the story telling is better than OHYA but chemistry, comedy and acting is equally good. Yumi is as strong as seo hyun jin in acting department and both as great chemistry with Eric. Personally I found Eric is hotter in this series. Thanks. I’ve check some short clips on youtube of the Invicible Parachute Agent. it seems funny story. I may check more of it later. Eric looks so young. I couldn’t recognize him at first. He got balded hair. He and Han Ji Min looks cute together. By the way, do you have any drama recommendation that airing right now? As for current dramas, I would suggest Orange Marmalade (vampire story). Of course there’s Producer and School 2015 that just finished as well. Both are really popular. Personally, I’m also interested in Hidden Identity and I Remember You that just started airing because of the main actors. But it’s too early to say how they’ll turn out.